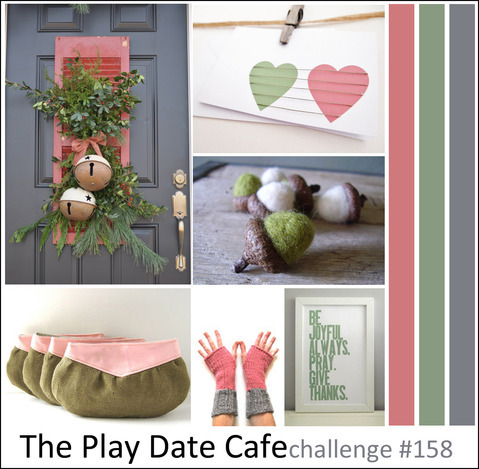 Welcome to this week's color challenge from The Play Date Cafe. Our beautiful colors are Rose, Eucalyptus, & Slate. Since next week is Thanksgiving in the USA, we are making this a 2 week challenge so you will have some extra time to play!! 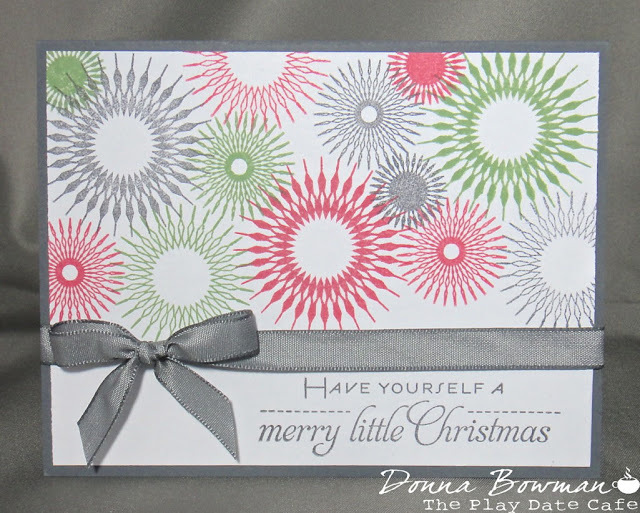 The stamps I used are from Papertrey Ink - Think Big Favorites #20 and Snowflake Flurries. The inks I used were Wild Wasabi, Regal Rose and Basic Gray from Stampin' Up. The card stock is Whisper White and Basic Gray and the ribbon is Basic Gray - all from Stampin' Up. This week our sponsor is Scor-pal. They are offering an awesome prize for this week's winner. I hope you can join us for our two week challenge. I can't wait to see what amazing creations everyone comes up with. Happy Thanksgiving!! I love the bursts of snowflakes~so pretty! Oh...great colors and awesome card! Love the snowflakes on your card - so pretty! Great colours this week! Wow do I love this! Great colors and the ribbon is perfect! Fantastic Donna! Great use of these colours and such a FAB graphic result! Love these graphic shapes in this layout. I love the layered colors. It's so pretty! One of my favorite cards! Love your style--just pinned this! This is really pretty! I love that sentiment! !